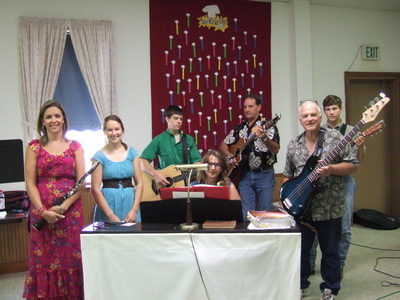 The Praise Band provides music for the Contemporary Praise and Worship service on Sunday mornings at 8:15am. They practice at 7:30am on Sundays under the leadership of Mark Johnson. The Chancel Choir provides the music for the Traditional service on Sunday mornings at 10:35am. They practice at 6:00pm on Wednesday nights under the direction of Sharon Spiess. 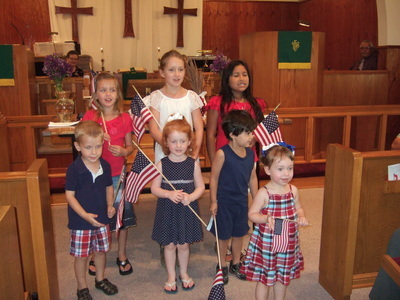 The Children's Choir performs on special Sundays in both services. They practice during Sunday School time at 9:30am on Sundays under the direction of Alicia Eckermann. 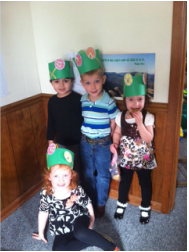 Sunday School is available for all ages from babies to adults!! We offer classes on Sunday Mornings at 9:30am. Singing, crafts, games, gardening, time of sharing. Come join the fun! Time for fellowship, friends and family! Purpose: The organized unite of the United Methodist Women shall be a community of women whose purpose is to know God and to experience freedom as whole persons through Jesus Christ; to develop a creative, supportive fellowship; and to expand concepts of mission through participation in the global ministries of the church. 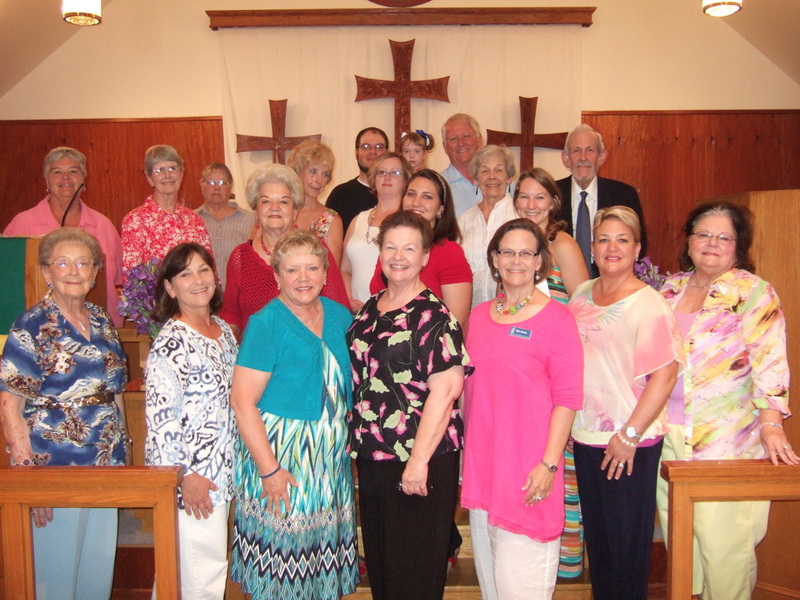 The UMW of Industry United Methodist Church consists of two groups: The Dora Circle and The Bertha Circle. The evening Wesleyan Service Guild first heard of the overwhelming choice of United Methodist Women on June 14, 1972, in a letter from the President of the Women’s Division, Mrs. W. W. Harrington, and Associate General Secretary. Miss Theresa Hoover, combining the Guild and Woman’s Society of Christian Service. The cross and flame were to be continued as the emblem. At the May 9, 1973 meeting the ladies were informed that a slate of officers should be ready to take over by January 1, 1974. During the June 13, 1973 meeting, the nominating committee suggested Dora Circle as the new name to be used. This was accepted, and on July 1, 1973, the slate of officers for the UMW, the Bertha Circle, and Dora Circle were read. When the new organization began in January 1974, the Dora Circle had 17 members on their roll. The Dora circle meets on the first Thursday of the month at 6:30pm. On July 11, 1973, Mrs. Alfred Richter moved that the afternoon circle use the name Bertha, and on January 2, 1974, the Bertha Circle of the UMW was official. Reverand A. M. Roos presented a picture of Miss Bertha Ott to the circle, and Mrs. Richter donated a frame for it. In September of 1974, the Bertha Circle voted to send money for the candle burning ceremony to honor Martha Gross, and Mrs. Ben Rinn who had dies that year. This service has continued until this date. In 1974, the Bertha circle membership was 38. The Bertha Circle meets on the first Thursday of the month at 2:30pm. The worship committee helps pastors carry out their liturgical duties on behalf of the church. Whether formal or informal, a worship committee is responsible for creating an environment that is conducive to prayer and religious experience. They plan the way the church will worship by designing dynamic, meaningful services that nurture and enhance the congregations worship life. The committee includes the choir director and the musicians. They assist the pastor in choosing music to enhance the sermon topics and the church/liturgical calendar. Another duty is to provide feedback to the church staff regarding ideas about music and special services. Feedback is a vital aspect in any organization. Congregation members often give suggestions, comments or compliments to members of the worship committee. It is these members’ duty to relay this information to the staff. Chairperson of the Worship Committee is Janie Cornelius. The prayer shawl is called a tallit in Hebrew. The Hebrew tallit was an integral part of a Hebrew man’s everyday dress. It was worn over the main garment or robe. The Hebrew prayer shawl was rectangular. The four corners were carefully tied with a tzizit, or fringe that looked similar to a ponytail. Matthew 6:6 tells us that there is power and integrity in prayer done privately and in a secret place. Matthew 6:6 – But when you pray, go into your room, and when you have shut the door pray to your Father who is in the secret place; and you father who sees in secret will reward you openly. When a Jewish person puts on their prayer shawl, they close themselves in and shut out the world. His prayer shawl becomes his “prayer closet.” What a wonderful gift to give someone in the midst of our cluttered and busy world!! The making of a Prayer Shawl is a spiritual practice which embodies our thoughts and prayers for the recipient. It is a gift, freely given with no strings attached. Putting a price on a shawl defeats the purpose of the ministry. If someone wishes to buy a shawl, they may instead make a donation to our ministry which would enable us to purchase more yarn and continue the ‘ripple effect’ of unconditional love. What is WECCO? The West End Christian Community Organization (WECCO) is a coalition of seven Christian congregations in the "west end" area of Austin County, Texas, embracing the area that includes Welcome, Bleiblerville, Nelsonville, Shelby, Industry and New Ulm. A coordinating board, with members from each participating congregation, meets quarterly to plan joint community events and services. Congregations from the Lutheran, Baptist, Methodist, Brethren and Roman Catholic Churches participate actively in WECCO. Each month, on the 3rd Friday, WECCO hosts a food distribution at our church. The food is purchased locally with funds donated by the WECCO congregations. WECCO also plans community celebrations in which all the congregations participate, including an observance of the National Day of Prayer in May, a CROP walk in Industry in November, and the community ecumenical Thanksgiving Service on the Sunday before Thanksgiving. This service rotates among the participating congregations and pastors of all congregations participate in leading the worship. Please contact the church office if you are interested in donating to this organization.